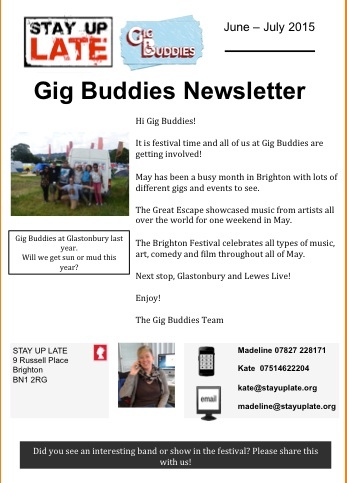 Check out our newsletter archive here to read more about the Gig Buddies project and the things we’ve been working on. We’re always on the look out for your news stories so please get in touch if you’ve been to a good (or even bad!) gig, we’d love to hear how it went.